about | Genesis Auto Repair Ltd.
With over 3 decades of experience, Genesis Auto Repair delivers reliable, skilled, and honest mechanic services throughout the Greater Vancouver Area. We strive to deliver the best automotive services with a transparent and honest approach. Our business depends on satisfied customers, so we will always go that extra mile to make sure the job is done right the first time. Free Diagnostics. if we don’t do the repair, Diagnostic is charged, but if we do the repair we won’t charge you for diagnostic at all. You may provide us with required parts, but if the parts are found defective after repair is done you will be charged for taking it out and putting a working part back in. Same applies to used parts supplied to us. If we provide the parts you’ll get One Year warranty for new parts and 3 months warranty for used parts. Labor is free of charge if for any circumstance the parts (new or used) are found defective. If you want to get an estimate by Email Please include your phone number. I have a true passion for my business and my business relationships. My name and reputation is my business, and I will always work hard to provide the very best in quality customer service. 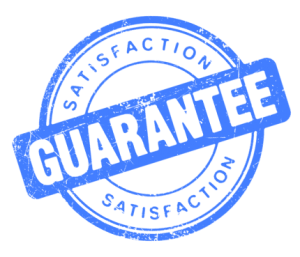 Both original and warranted parts and labour must be inspected by Genesis Auto Repair Ltd. Warranty parts pricing is determined by current Manufacturer Suggested Retail Price (MSRP). Customer must have original service receipt and proof of warranty. This warranty applies to in our facility service provided by Genesis Auto Repair Ltd. only and does not cover parts purchased over the counter or sold online. Exclusions: These parts are covered for the manufactures warranty only: filters, Light bulbs, fuses, and all cosmetic and non-functional parts. Limited Coverage: A/C system components, electronic control boards, Electric, bearings, disposals, and transmissions have limited coverage to one year’s prorated only. GENESIS AUTO REPAIR strictly adheres to the Golden Rules of Customer Service. We will provide each customer with courteous and professional service. We will provide clear and accurate estimates of repair to our customers. We will perform no repairs without customer authorization. We will perform each service and repair professionally with top quality parts and materials. We will report any vehicle safety or repair concerns observed during vehicle service to our customers. We will not recommend services or repairs that are without benefit to our customers and their vehicles. We will stand behind our work and honor all applicable warranties. Our craftsmanship on all the work WE DO will guarantee your car will be fixed right the very first time… We will always explain very clearly the REPAIR process, no hidden charges or fees. We will always advise you if the car is worth doing the repair to – we don’t want our customers wasting money.